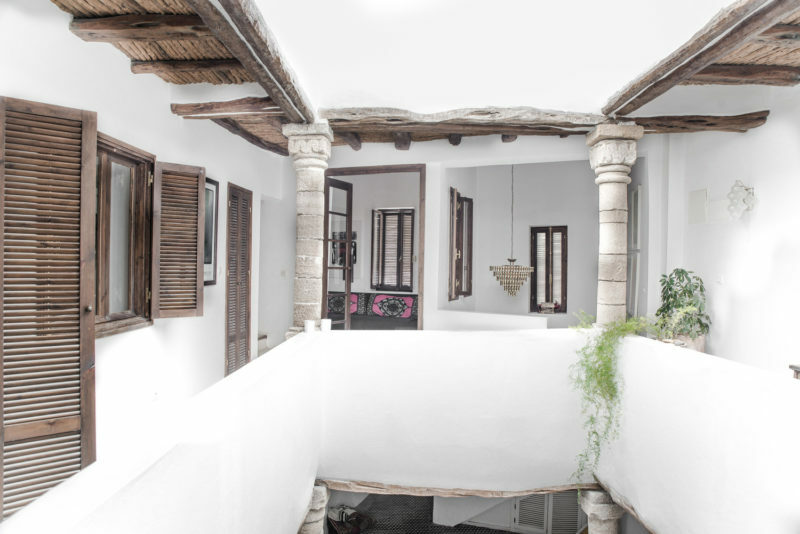 Five Columns Essaouria is a holiday rental home on the coast of Morocco. 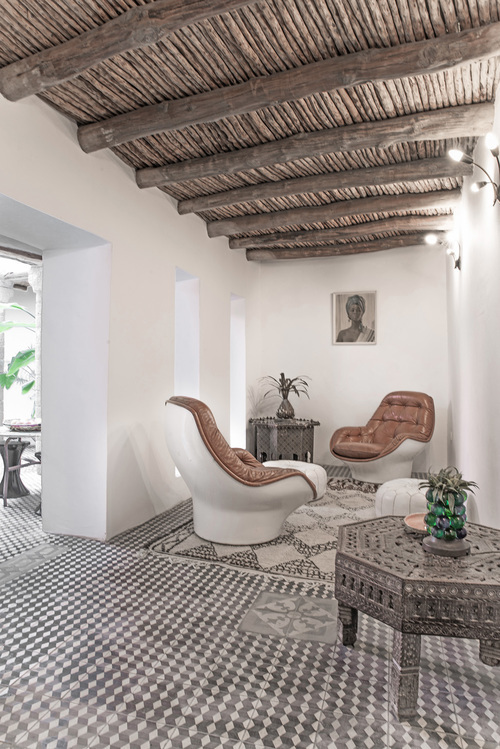 The building dates to the 18th century, and it’s been restored beautifully – clean, modern design paired with traditional Moroccan architecture and textiles, all in a perfect neutral colour palette. 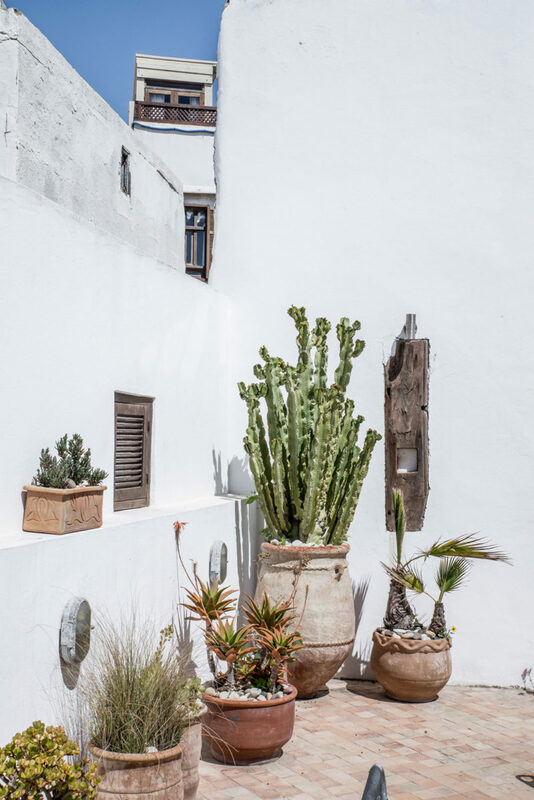 I was bowled over when I first came across this stunning home, in the heart of Essaouria’s medina. 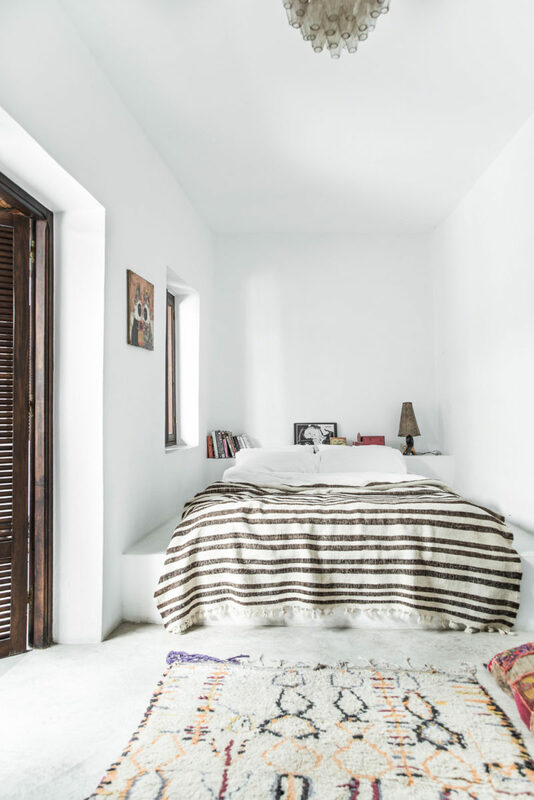 It belongs to London-based interior designer Lisa Burke, and it’s available to rent via HomeAway. 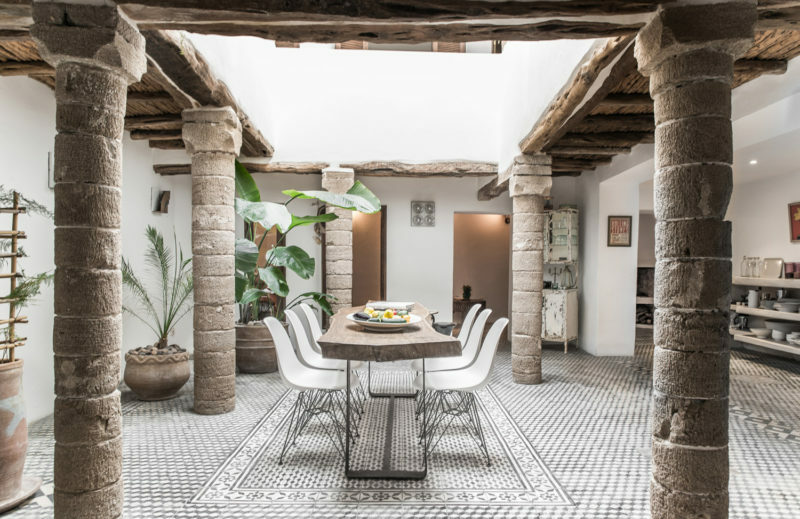 The home’s bright, neutral scheme puts a more modern spin on traditional Moroccan decor, as does the addition of furniture with clean lines, like the dining chairs above and those killer armchairs below. 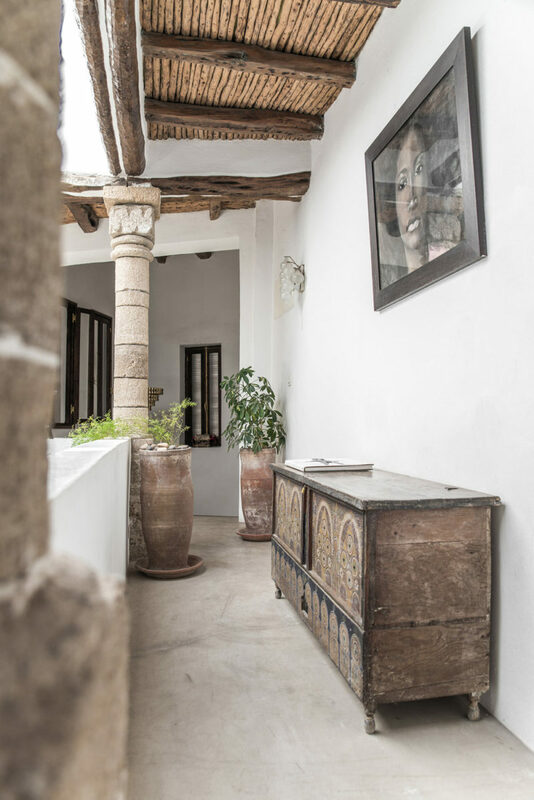 The home is a riad in Essaouria’s ancient medina. It has four bedrooms, and they’re all similarly gorgeous. Burke has clad all the bathrooms in Tadelakt. 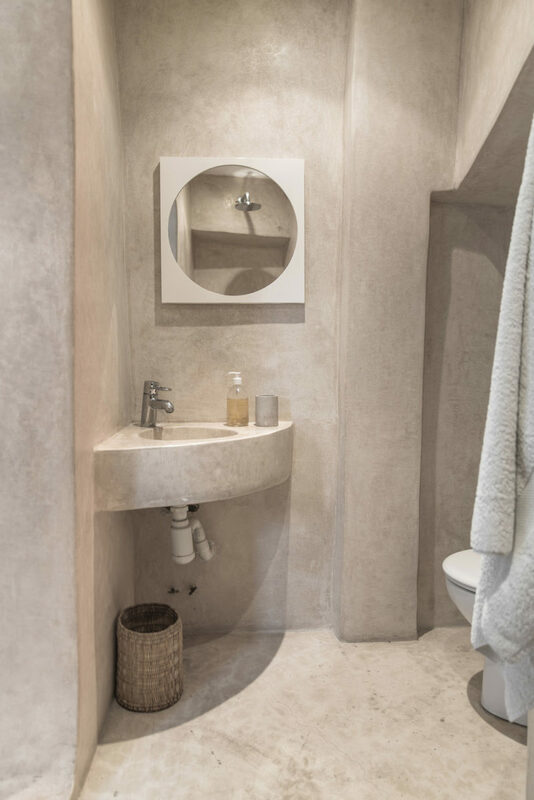 This waterproof, polished plaster was also used in the bathrooms at the villas where we vacationed over summer. 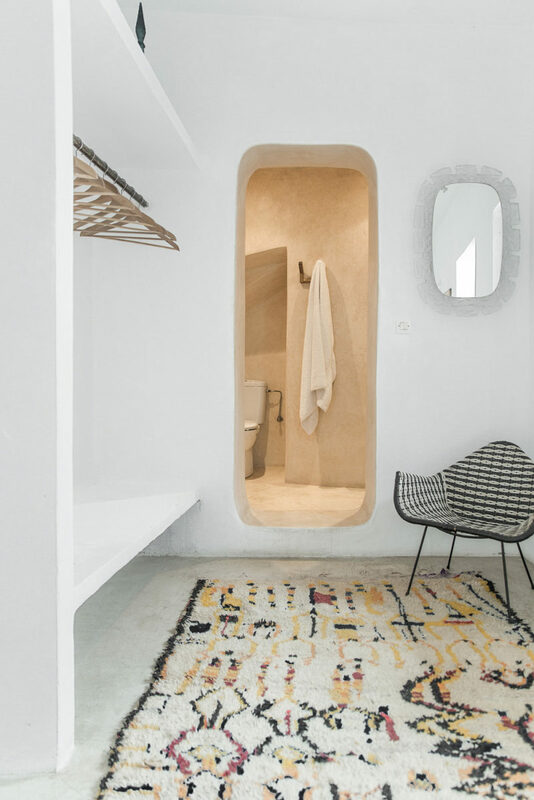 I love the subtle texture it adds – I’d use it in my own bathroom if I could! 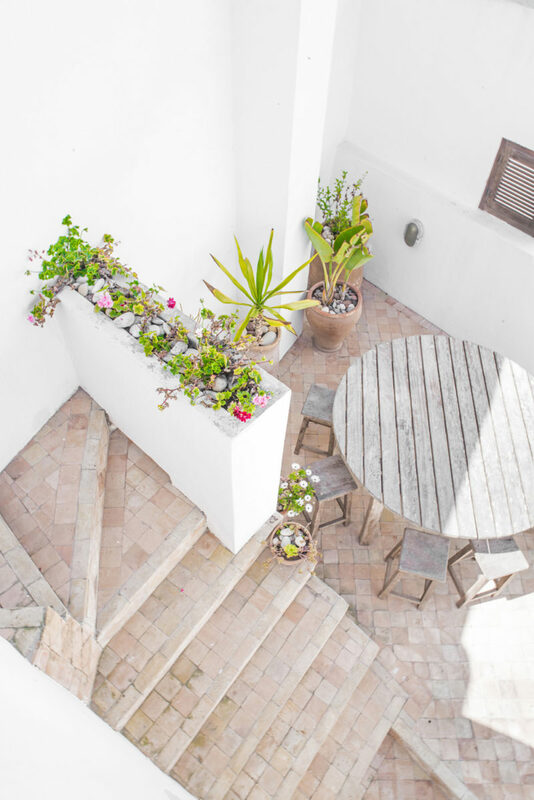 The house has four stories, with the all-white walls drawing light into the central courtyard. Aren’t those ceilings gorgeous? I love their rustic texture. 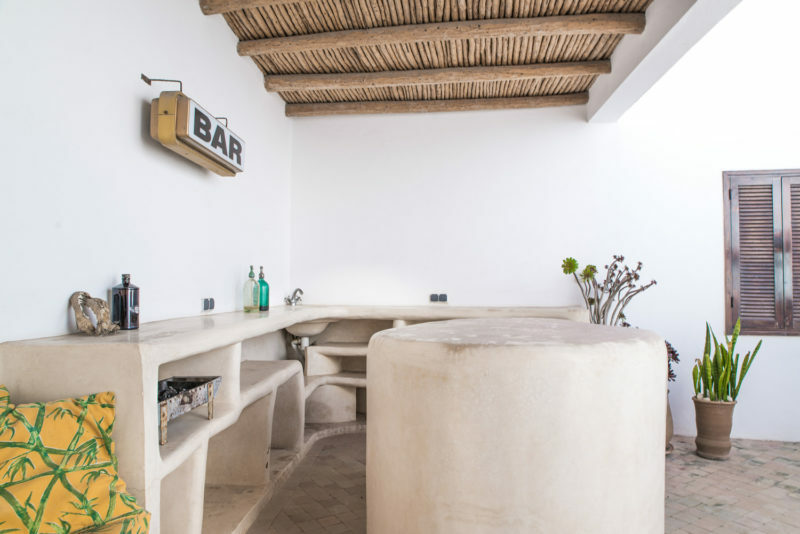 At the top of the house, there’s a bar and roof terrace. 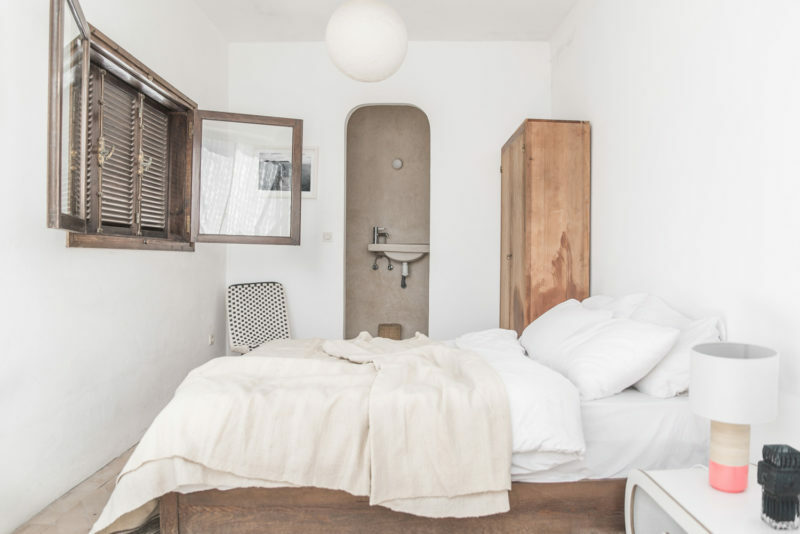 If you’d like to check out more photos or find out how you can go stay there, go check out the listing on HomeAway.